known as the ‘E.M. 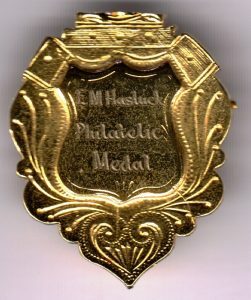 Hasluck Medal’ in memory of the late E.M.
Hasluck and his fellow officers serving in the Colonial Post Office of Western Australia in the 19th century. In particular, the Award acknowledges the contribution of Hasluck and others to Post Office and Telegraph services during the Gold Rush era. selection of a worthy recipient of the Award. 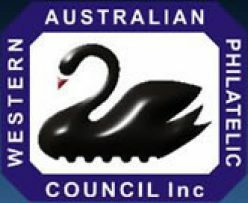 Nominees should be persons resident in Western Australia who have given distinguished service to philately, past and present. Generally promoting the hobby in WA. Nominations close on September 1st each year.